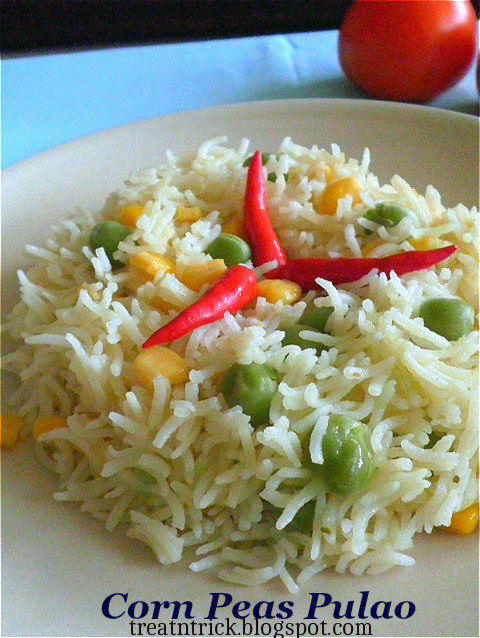 Corn Peas Pulao is a colorful and delicious meal using basmati rice, whole kernel corn and peas. It was mildly spiced and fragrant. Best serve with a spicy gravy either vegetarian or non vegetarian for your family and friends.. This Corn Peas Pulao can be prepared in rice cooker or pressure cooker but mine cooked on stove stop from start to finish. Be caution if you're choosing this method especially after the water has evaporated. you need to turn your stove to the lowest setting. Placing a flat pot lid before putting the rice pot was a safest way to get rid of burnt rice..
Have added 3 cups of water for this recipe , on ratio of 1 : 1.5. Too much water, your rice will turn mushy and less water your rice would turn chewy. 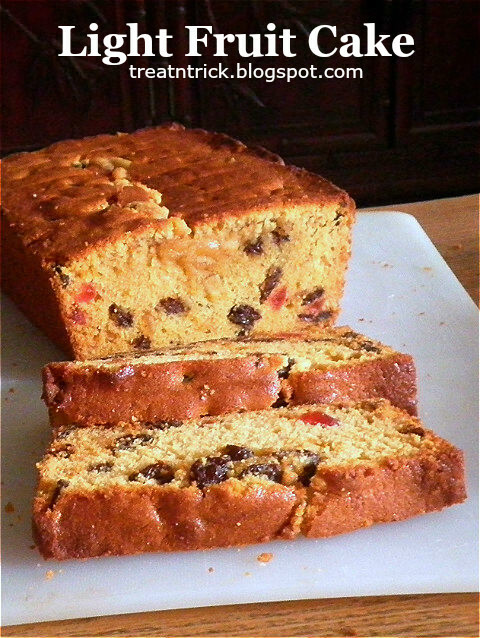 Fruit Cake made their appearance during festive celebrations such as Christmas, Hari Raya and even Chinese New Year. There are few types of fruit cake either steamed or baked and the dry fruit used varies in quantity, some soaked in brandy/orange juice or without soaking - the fruit is coated with flour before adding to the butter mixture. I always love Fruit Cake that uses less dry fruit in the recipe. 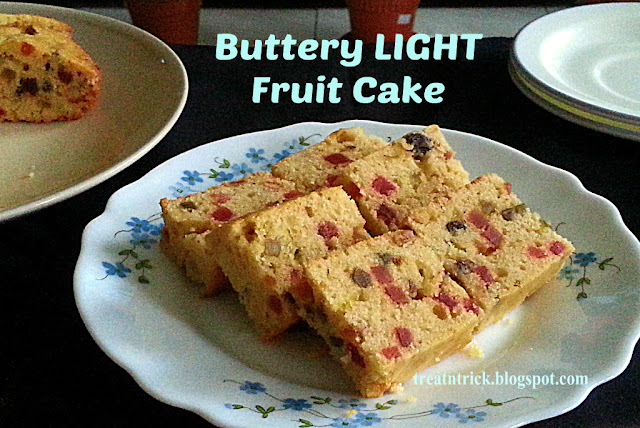 This Light Fruit Cake require you to soak the dry fruit in orange juice or brandy overnight. Next day you can proceed to bake the cake. It took more than an hour to bake mine. In case the top of this Light Fruit Cake becoming too brown, cover with aluminium foil crimped around the edges of your baking pan. On the occasion of this lovely festival of Eid, wishing you Eid Mubarak, may the blessings of Allah be with you always! Every time I bought a pack of chocolate chip cookies, had a guilty feeling for not trying to make my own. Another reason for this excuse was due to my forgetfulness to purchase the essential ingredient for this cookie, chocolate chip. 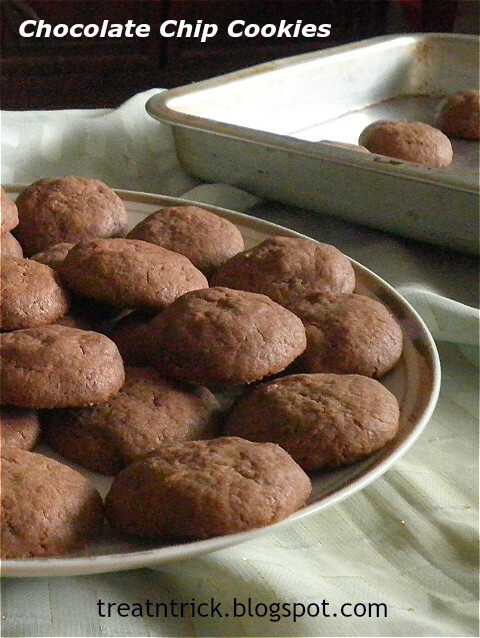 This is my first time baking this famous cookies with much reduced sugar and without the mixer. Use a whisk to whip up butter and sugar. Really happy with the result, this Chocolate Chip Cookies turned out soft and chewy. When break open it, it was full of chocolate chip. with buttery flavor. 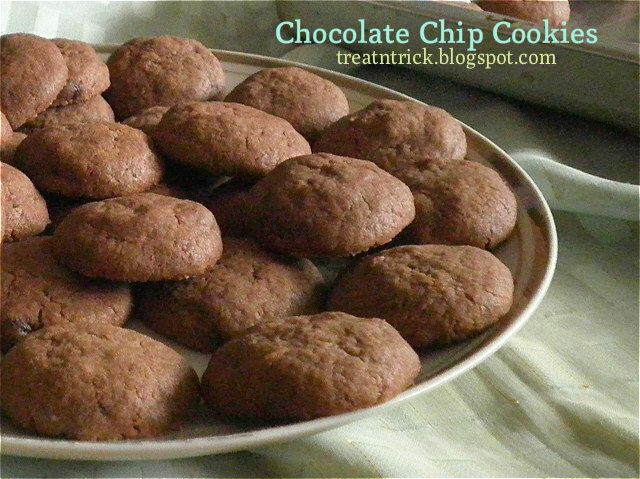 This Chocolate Chip is the best recipe for making the incredible cookies you'll ever eat! 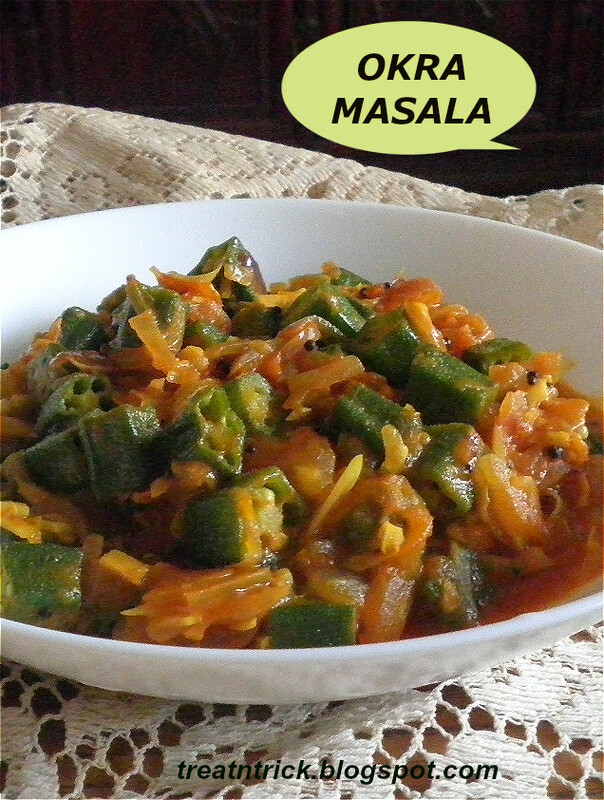 Okra Masala is a perfect dish for a vegetarian meal with rice or flat bread. This lightly spiced Okra Masala is great on its own. If you never cooked Indian food before, this is a nice recipe to start with. It comes together quickly, leave room for slight adaptations and taste absolutely delicious. Spices are always a matter of individual taste. Start with the ones in this recipe and adapt to suit yourselves especially the chili powder. If you are lucky to find this versatile vegetable fresh, make sure to select the smallest and firmest pods. If okra pod gets too long, it often becomes hard to eat.